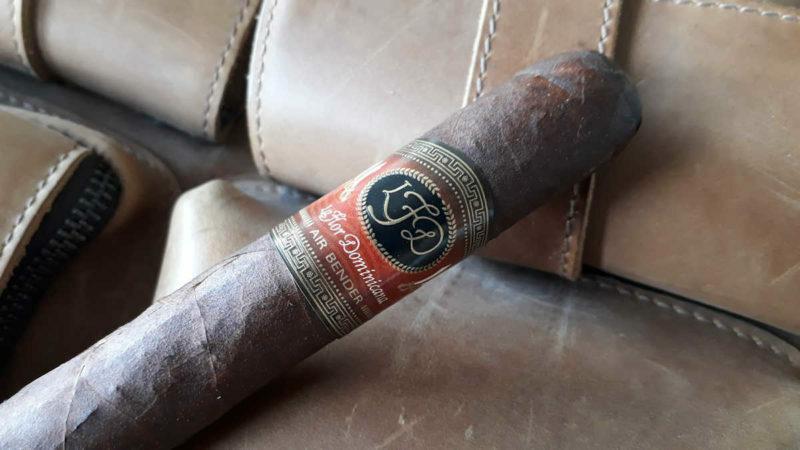 The La Flor Dominicana Air Bender Maduro is a cigar that has tempted me since its release. In early 2011 I visited the Dominican Republic for the first time and toured a farm where the Gomez family grows some of its tobacco. Not typically a fan of LFD I often overlooked their releases. The visit to their fields was a welcome awakening for my palate. My traveling companions and I were treated to Air Bender Torpedos and I was immediately surprised by the blend. Being one to typically shy away from strength to the nth power, I expected nothing else from the famed “double” and “triple ligero” manufacturer. I was shocked to find a blend nuanced with spice, sweetness, and hard flavors wrapped in subtlety. Pair that blend with a sweeter Maduro wrapper and I was intrigued. Fast forward to last winter and I finally had a chance to get my hands on some of them. This 6-½”x54 behemoth of a cigar has Dominican internals and a Brazilian Habano wrapper. It’s aroma is unique in a spicy sort of presentation and the prelight is similar. The cigar reminds me of a spiced and harder version of the original. Bitter citrus notes cut through the low end to come together in an enjoyable, different package. 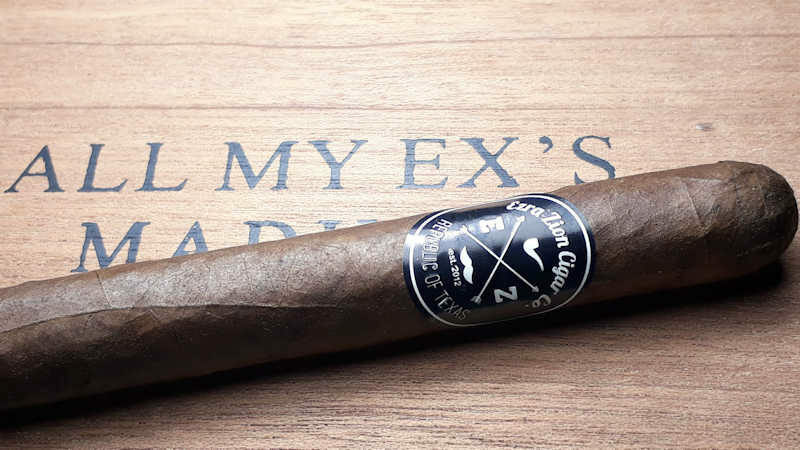 Speaking of packaging, this cigar was only available in 24 count “Curing Barn” humidors. In a followup to a judgment that went against the cigar industry with reservations, Judge Amit P. Mehta has ruled in another case that the labeling requirements required by the incoming FDA rule must be delayed until 60 days after another pending case has been completed. The labeling requirements have long been considered one of the more onerous items in the rules, and many companies have already invested a great deal of time and money into preparing. 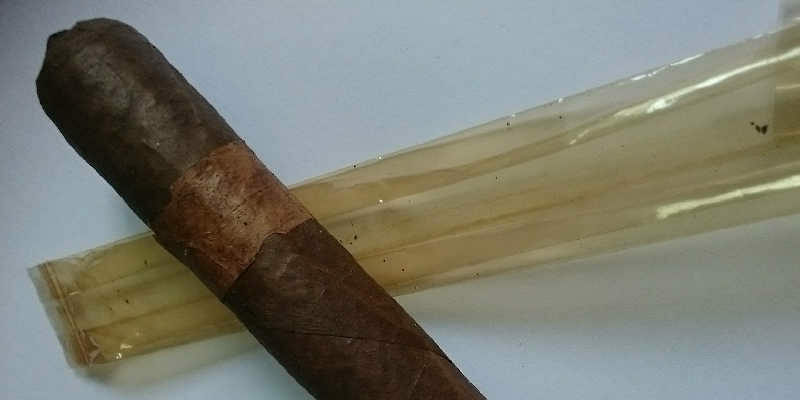 Halfwheel reported on a new Total Flame cigar that is on its way, which includes some Iranian tobacco in the filler blend. It will feature a CT wrapper over Indonesian Sumatra binder and fillers from Iran, Nicaragua, and PA. You may remember this company from Bob McDuffee’s focus back at IPCPR 2012. I have never smoked their lineup, but I’m fascinated with the idea of Iranian tobacco considering the near- and middle-eastern prominence in pipe tobaccos. I’m intrigued as to whether the tobacco will be similarly treated during the curing process, and if they might provide a fire-cured nuance. Anyone who sees these should drop us a line and let us know how it goes….although total production is only 10k, and only half that in will ship to the U.S.
Smokers of AJ Fernandez’ San Lotano Oval will be disappointed to hear that the line is being discontinued, reportedly to avoid confusion with their Requiem line. Apparently, CI has opted to buy out the remaining inventory to make it an exclusive for them until inventory is depleted. Better act quickly…. Drew Estate has entered into the bundle cigar arena, with some very inexpensive value priced cigars. I’m wondering how this will go, and how much influence is coming from parent company Swisher in this endeavor. I could speculate, but probably shouldn’t….tune in to the show to find out why. OMS Pipes…mostly with MacBaren Navy Flake. Wow! I replaced my Xikar MTX scissors. Oh, sweet mystery of life at last I’ve found you! Kip – The All My Ex’s maduro made its appearance in April 2016 as a followup to the original released blend. 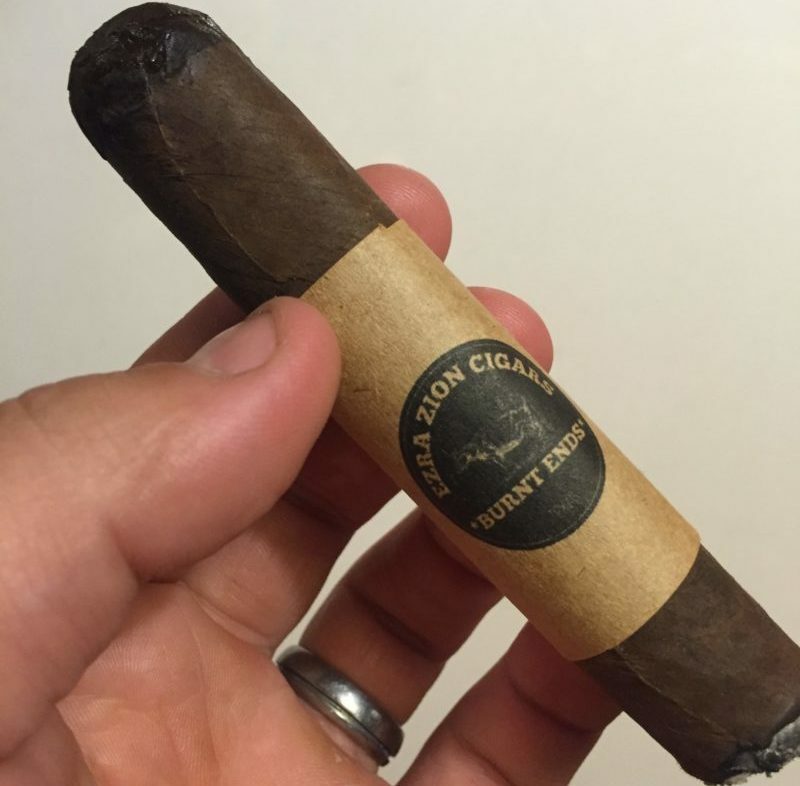 The Ezra Zion guys generously gave us these while I was at IPCPR 2016. 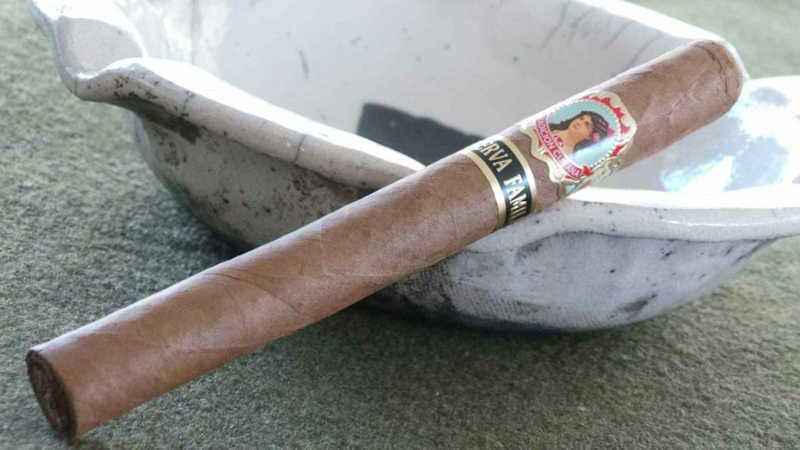 The maduro All My Ex’s features a Mexican San Andres wrapper over Nicaraguan binder and filler. They were made via Noel Rojas at the Aroma de Jalapa factory in Estelí. The line was available in three vitolas (6”x52 toro at $8.95, 5”x50 robusto for $8.50, and a 6.5”x42 lancero ($8.95)). Total production was 800 boxes of 25 (20,000 total production). I remember these having a healthy dose of potency, yet being entirely approachable; some dry cocoa flavors and an occasional wisp of smoky woodsiness. I couldn’t help but notice that only 18 months in the cello left it incredibly yellowed. Interesting. Let’s see how the cigars are smoking these days…. My old haunt – Tampa Humidor – announced since our last show that they had been acquired by Casa de Montecristo (Tabacalera USA/Altadis/JR Cigars)….and subsequently, a few more acquisitions have occurred. It was announced that Xikar has been bought by Quality Importers (! ), and Thompson Cigar has been purchased by STG, the parent company to General Cigar and CI. Halfwheel is reporting that Altadis is suing another company for trademark infringement with the fleur-de-lis. Carlito Fuente announced during the Puro Sabor festival that the Fuente family is opening a new cigar factory in Nicaragua. They have maintained a farming presence there for many years since their original factory in Estelí was burned in 1978. 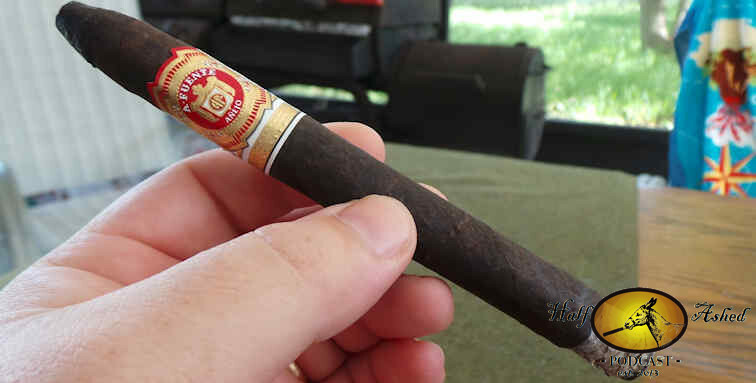 This comes on the heels of announcing the name change for distribution from Fuente & Newman Premium Cigars Limited to the Arturo Fuente Cigar Co.
Kip – Tonight’s sample of the La Tradicion Cubana Reserva Familiar (Family Reserve) is nigh on 3 years old at this point. We are smoking the toro vitola at around 6” x 48-50 ring. This line spun off the original LTC line with some minor changes – these carrying an Ecuadorian wrapper over an undisclosed binder and Dominican fillers. There’s still a similar aroma of hay on the wrapper, with a darker, more raisin-like scent at the foot. Originally, I found these very similar to the standard LTC but with more bold, spicy flavors. Think baking spice with a bit of an edge. Scored a 90.7 in my last review in December 2014. Tonight, we went light on news (scant days, these are) and heavy on chatter about the featured cigar. We did, however, remember a couple of gentlemen and masters in the cigar world that have recently passed. We also talked a bit about some recent legislative comments from FDA commissioner Gottlieb. “Décima”, another offering to recently come from the makers of Chogüí and others I’ve spoken of over the past 18 months or so…. Last year’s (fabled, per Craig) selection process led to the finished product we have before us – the La Flor Dominicana TAA 47th. It’s a 5.5” x 52 robusto extra that features an Ecuadoran Habano wrapper over Nicaraguan binder and Dominican/Nicaraguan filler mix. It was available only through TAA member shops, and retailed for about $9 per stick. The much anticipated…and much maligned…CA Top 25 list is making its rounds for 2016. 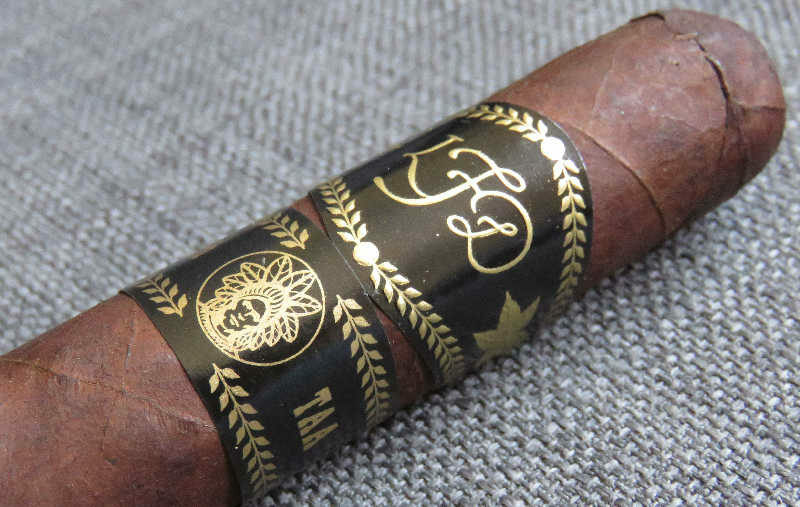 If you follow the list, you probably already know that the La Flor Dominicana Andalusian Bull topped it at number 1. I (Kip) haven’t personally smoked this cigar yet, but I have read a bit about it. In fact, quite a few of the things I read deemed it as being uncharacteristic of the typical LFD portfolio. The anecdotal trend I am seeing is folks saying it’s not as potent as the company’s standard fare, with perhaps more of a spicy profile. I suppose I’ll have to track them down, because nicotine-heavy blends has been one of my personal reasons I avoid the brand most of the time (although there are a few I will reach for on occasion, like the Airbender). I’d love to hear what some of our listeners think of it – because this list is often polarizing for the magazine’s readership, and I’m interested to see what Johnny-on-the-street has to say about the cigar. 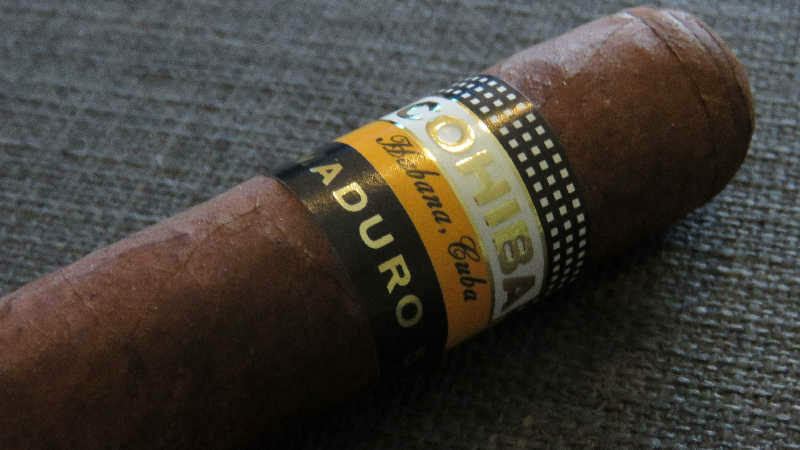 The 6.5” figurado retails for about $15, and features a Corojo-seed Ecuador Habano wrapper over a blend of Dominican Criollo ’98, an undefined hybrid, and some Pelo d’Oro. Lots of legislative news since our last show. First, a very brief update in the form of a date. July 28, 2017. 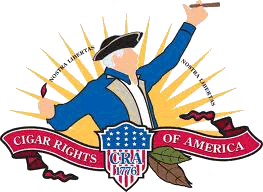 This is the date that the joint CRA//IPCPR//CAA lawsuit will have its day in court. We’ve covered this in recent shows in terms of its initial filing and the FDA’s response. We’re going to have to wait a few more months before anything really starts to move with it…. SevenSeven Cigars – Sumatra (Ec Sumatran wrapper, Criollo ‘98 binder, Piloto Cubano, Nicaraguan, Criollo ‘98 fillers) milder in flavor but just as potent as its Sumatran brother. Habano (Habano wrapper, Criollo ‘98 binder, Piloto Cubano, Nicaraguan, Criollo ‘98 fillers) – Occasional crispness, but generally came across with lots of dark chocolate flavors. Tatuaje Skinny Monsters – I’ve begun smoking through these as I get the chance. I’m keeping some notes on each and will post them up once I’m through the lineup. So far, I think the Mummy has been my favorite…which is peculiar, because I believe it has been my least favorite in the full size offerings. Craig – Monsters! Yes, we’re a couple weeks late to the Halloween Gig but it’s really never a bad time to light up an original Tatuaje Face. This big beast, 6-½”x56 by direct measurement, was the 2010 Monster release, #3 in the series. One of Pete’s first uses of the San Andres wrapper, this cigar takes a left turn from the then typical tobaccos being used in the Esteli MF factory. It does sit on a Nicaraguan binder & filler blend which have always done a good job of keeping the impression of proper pedigree intact. This cigar has always danced around sweet & savory, though more recently diving deep into the meaty depths of other Nicaraguan manufacturers. Some cinnamon offers up a bit of respite but the cigar generally remains in that realm. California strongly voted for Prop 56, which raises cigarette taxes from $0.87 to $2.87 per pack. Tax on other tobacco products – including cigars – is computed from the basis of the cigarette tax; existing cigar tax will probably more than double. For now the 2nd time since Kip had his arm inked, Fuente is changing the Don Carlos band. Back in early 2011, they changed and added some gold trim across the bottom and a couple other minor details. Now, they’re inheriting the band you’ve been seeing on the Eye of the Shark and Don Carlos’ Private Reserve, which is predominantly black rather than the traditional red shared with the Hemingway line. Somehow we missed this. The US abstained from a vote regarding the UN’s now annual vote on the Embargo. For the first time the US did not cast a vote in support of the nation’s 54 year old “Quarantine”. The reasons are quite political and also rather interesting. Apparently the Obama administration is not fully supporting this year’s movement to damn the embargo but is certainly expressing a bit of solidarity with nearly the rest of the globe’s collective distaste for the legislation. Citing, anonymously, the republican congress’s upholding of the present state of affairs, the Executive branch is further separating themselves from the embargo. Ashton Cabinet – WHY is this overlooked?? J.Fuego Origen Originals – Cubby celebration. Kip – Named after the favored “burnt ends” of a Texas BBQ brisket, this was Spring 2015 direct-to-consumer release from Ezra Zion. It had a total production of 1000 cigars, and sported a cured corojo wrapper (cured? )…but little else in terms of recipe. 6”x52 toro. Carlos Fuente Sr. has passed. We offer our condolences and a few memories of Senior. Follow up on the companies releasing epic quantities of cigars at IPCPR…. I didn’t dig in hard to the legislative seminars, but they seemed generally better-attended than in years past. AJ Fernandez’ booth was crazy busy. Today’s the first of the “FDA D-day” – August 8th, 2016. Now what? Kip – Crowned Heads Las Calaveras 2016 – I’m having the 5×50 edition of this year’s release. It has a Connecticut broadleaf wrapper over Nicaraguan fillers. Produced by My Father. Based on my first experience, I’d liken it more akin to the 2014 version than 2015…which is great for me. Craig – Diamond Crown 20th Anniversary – A lovely gift from Kip that seemed like it was calling out to me this evening. Recluse….9 new lines, with 14 sizes each?!?!? Kings Cigars will be releasing some new limited editions…to the tune of 40 new facings in 14 different blends! 1502 has given some detail – but not much – on their latest release, the Blue Sapphire. I’ve been a fan of Enrique’s style since he first hit the shelves with the Ruby & Emerald several years ago. The Blue Sapphire will again be a Nicaraguan puro, but little is yet know about the blend outside of it being described as medium-full to full. It’s strange that so little detail sparks an interest from me, but knowing how much I’ve enjoyed his past efforts I’ll be excited to try this one. Many listeners may not be familiar with El Artista, but I’ve lived just a couple miles from their factory the past year. The company is celebrating 60 years in business, although they don’t have huge name recognition in the American market. They do a steady business of house blends and a few others you may know like the Puro Ambar. I profiled them a few years back at the 2013 show. They have a long history in growing and buying/selling leaf, as well as making cigars. This year’s new release is the Pulita, which uses negrito wrapper, criollo 98 binder and fillers from the Dominican Republic, Nicaragua, Colombia, and Pennsylvania. The Aniversario will come in two sizes, a 5×50 Robusto and 6×54 Toro. Celebrating a 10 year anniversary, illusione will have several changes in the works for this year’s show…but probably few will bring a tear to my eye like the fact that the eccj blend is going mainstream! 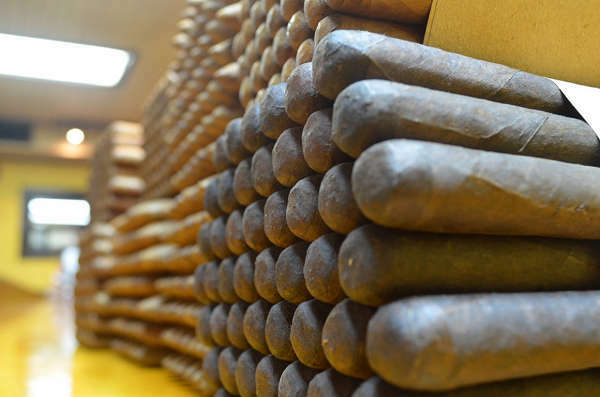 The robusto, churchill, and corona gorda will become regular production items. Secondarily, my other favorite bit of news from Dion is that there will be a 5-⅝” x 46 Fume D’Amour called the Concepcion. Hoowahh! What have we been enjoying in the world of cigars lately? Writing again! I’ve got a hankering to put a story idea down on paper. It’s somewhat autobiographical but more off, it’s a great accompaniment to the cigar.